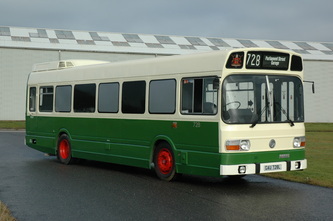 Delivered in 1973 to Nottingham City Transport as part of a batch of 4 similar vehicles, 728 was supplied with a 44 seat dual door layout. 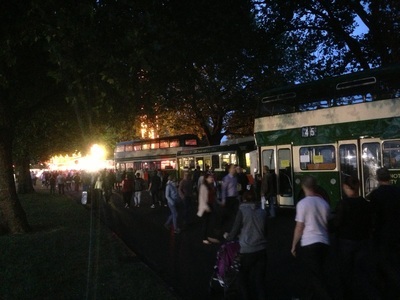 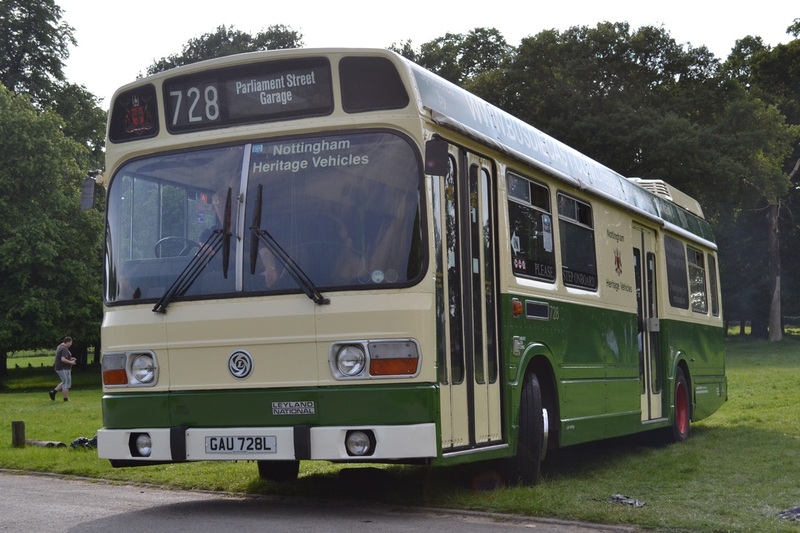 It was ordered to operate on the Central Area Service, route 77, which ran a circular route around the centre of Nottingham, linking the Victoria and Broadmarsh shopping centres, as well as the General Hospital and Mount Street Bus Station, via the Market Square. This ran in one direction, complemented by service 88 which ran in the other direction. 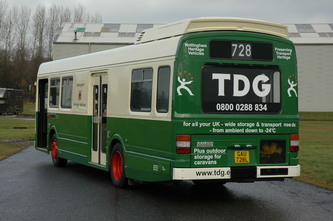 As can be seen in the photograph above, the route was identified by a yellow roof and front panel, route 88 having an orange roof and front panel. 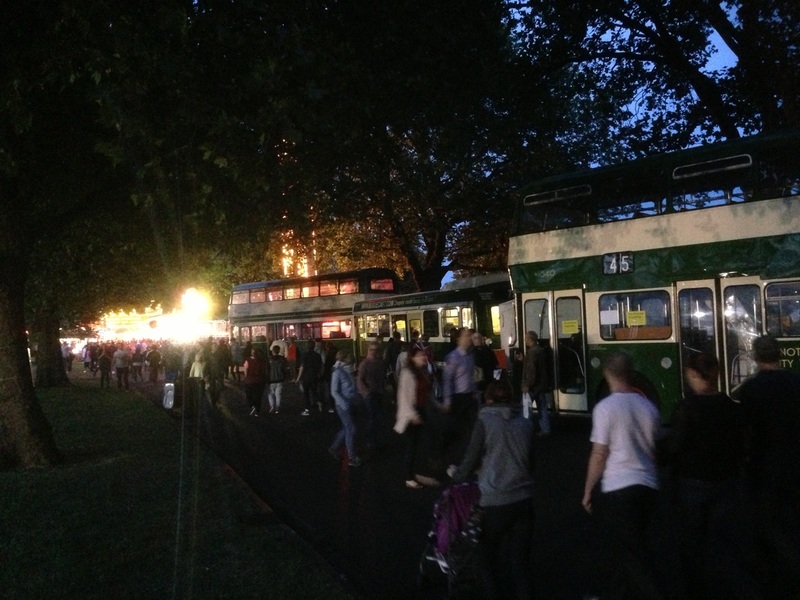 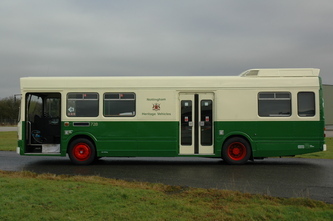 Subsequently the route colours were abandoned, and buses on both routes painted into standard livery, which meant they could work either route. 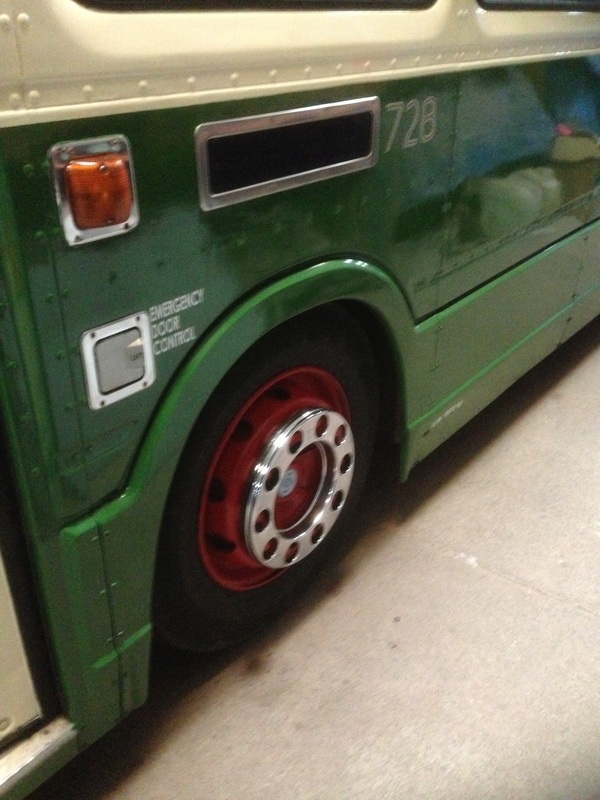 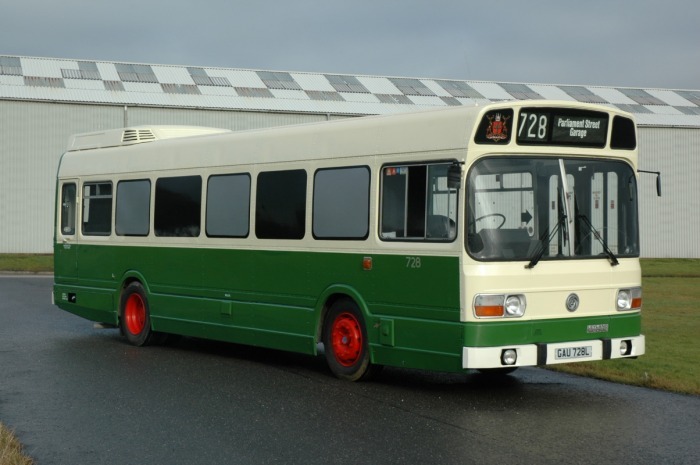 Interestingly, 728 and its sisters were lightly used, as the 77/88 only ran during shopping hours, and on Saturdays larger buses were used. The routes did not run on Sundays. In 1978, 728 was repainted into an overall advertising livery for Grays Television of Bulwell. 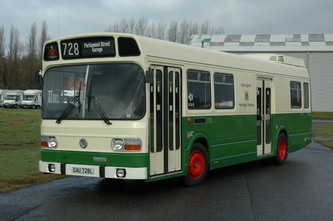 728 was withdrawn from service in 1980, and was subsequently converted to a mobile sales unit for the then new Easyrider card. 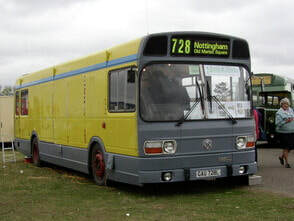 In this guise, 728 spent most days parked in Old Market Square. 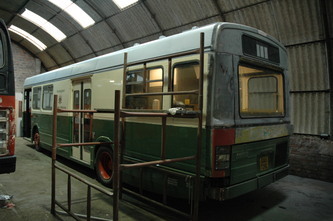 It was stored at Trent Bridge by 1986, by which time NCT had acquired shop premises in Market Square. 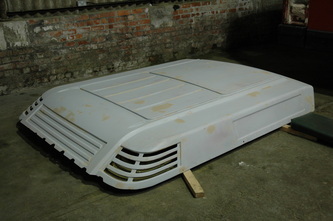 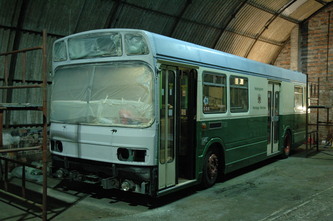 It remained there until sold to West Midlands PTE in June 1988, where it performed promotional roles, ending as an exhibition vehicle for the proposed Midland Metro Tramway. 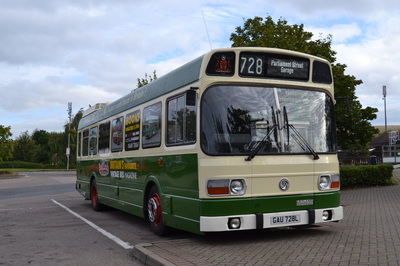 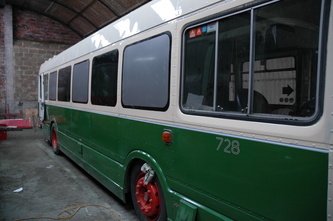 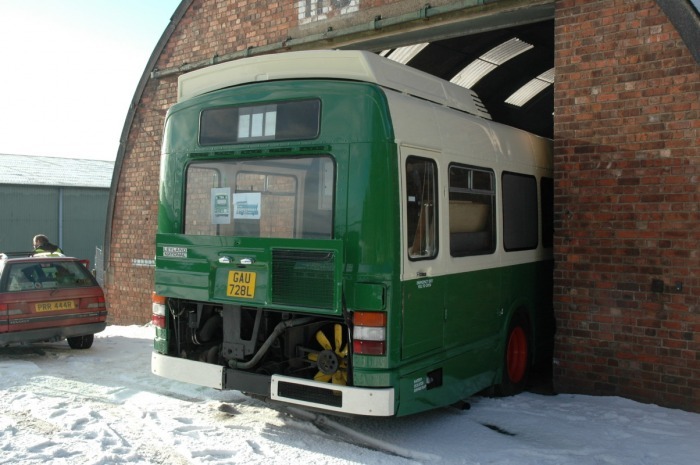 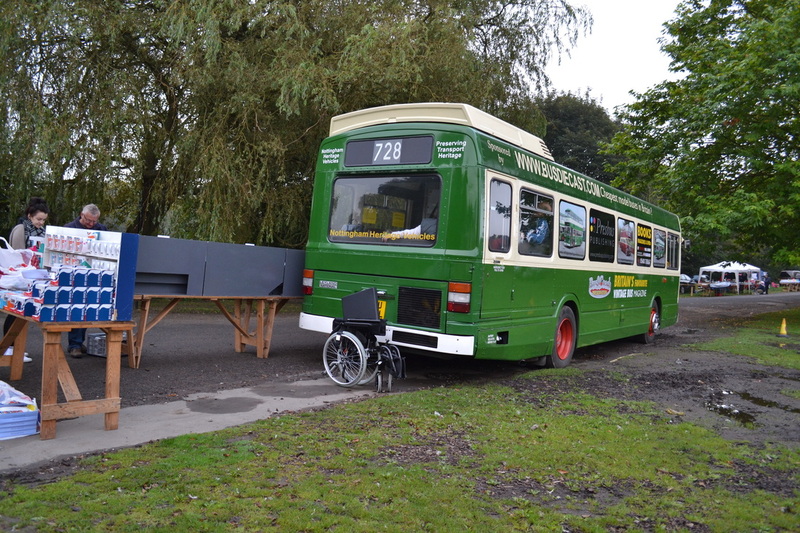 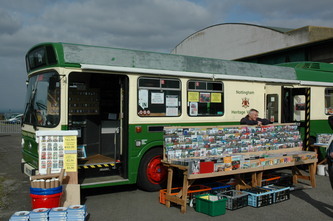 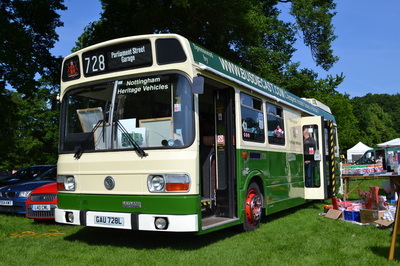 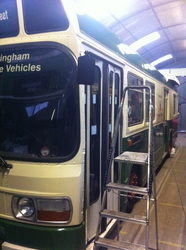 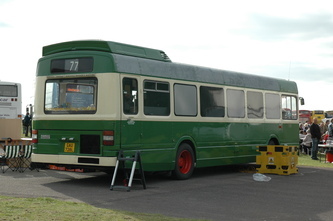 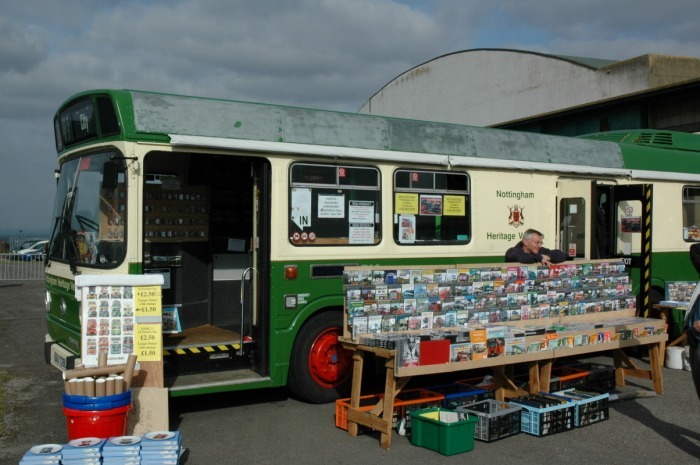 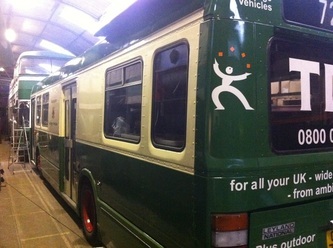 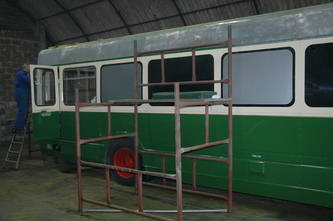 Following its replacement by a new exhibition unit in August 2002, the bus was acquired by Notts and Derby Heritage Transport Group, the forerunner of NHVC. 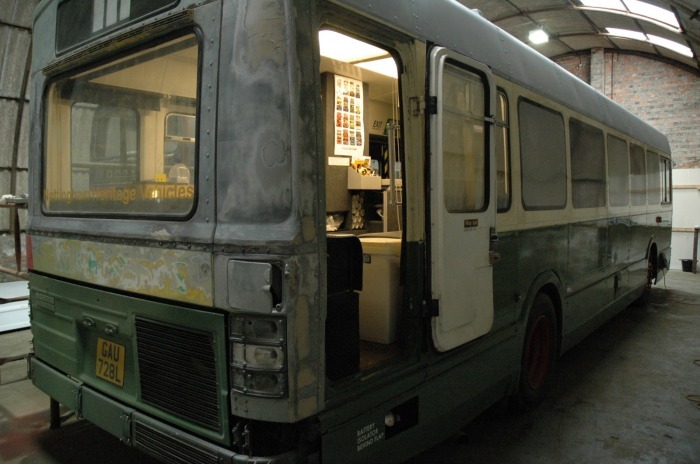 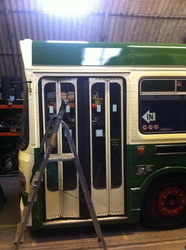 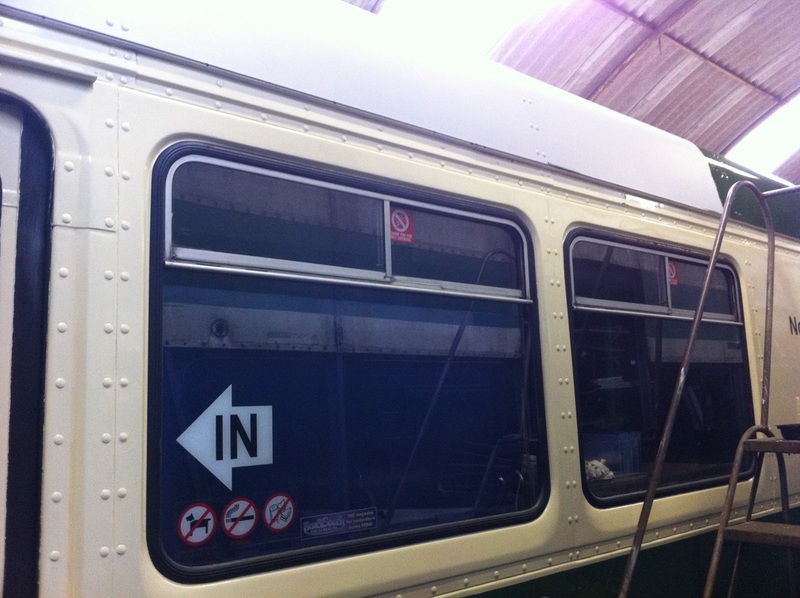 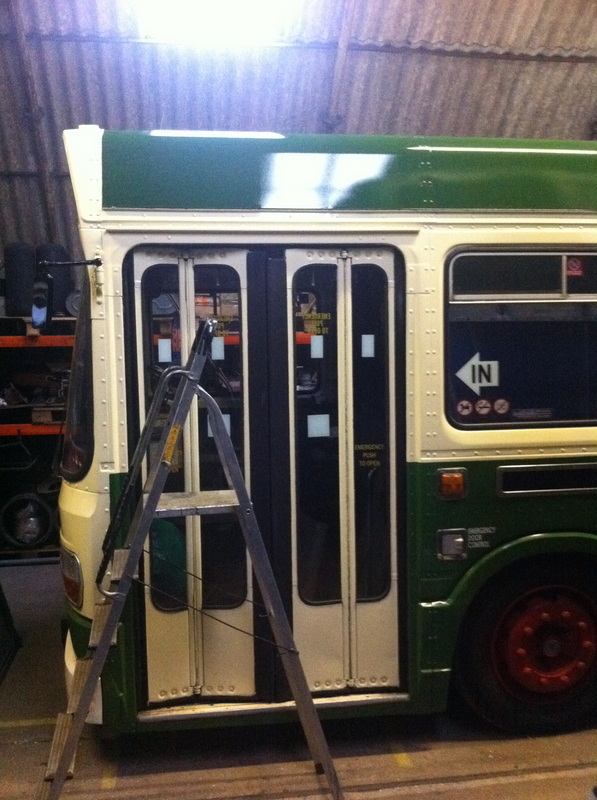 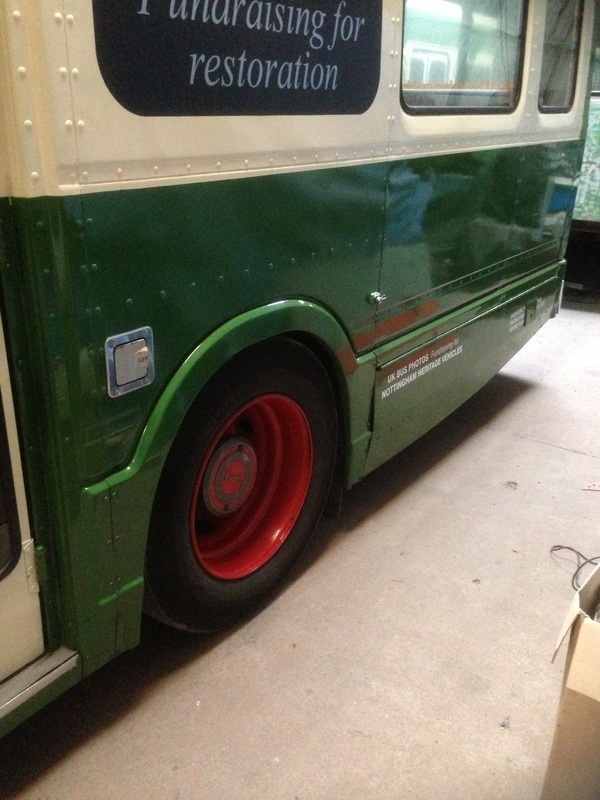 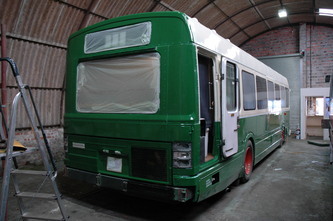 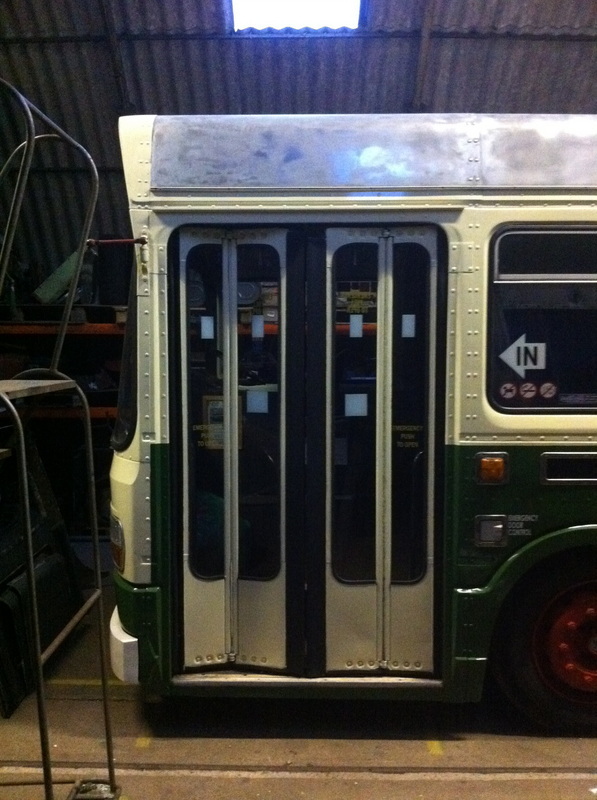 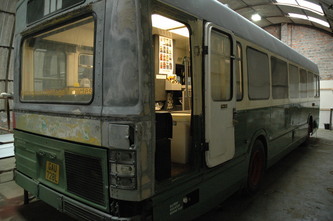 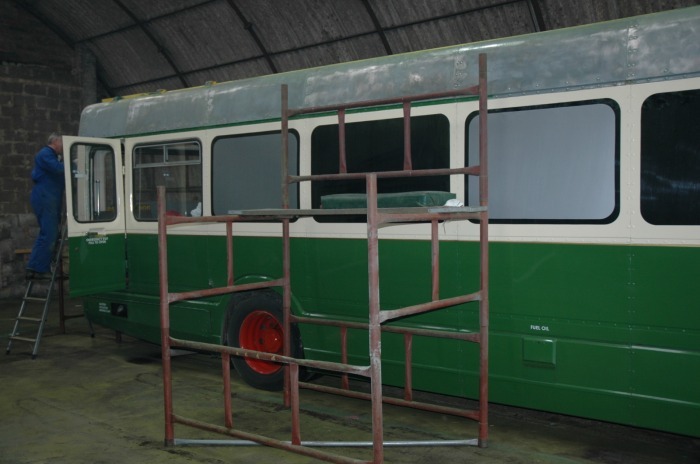 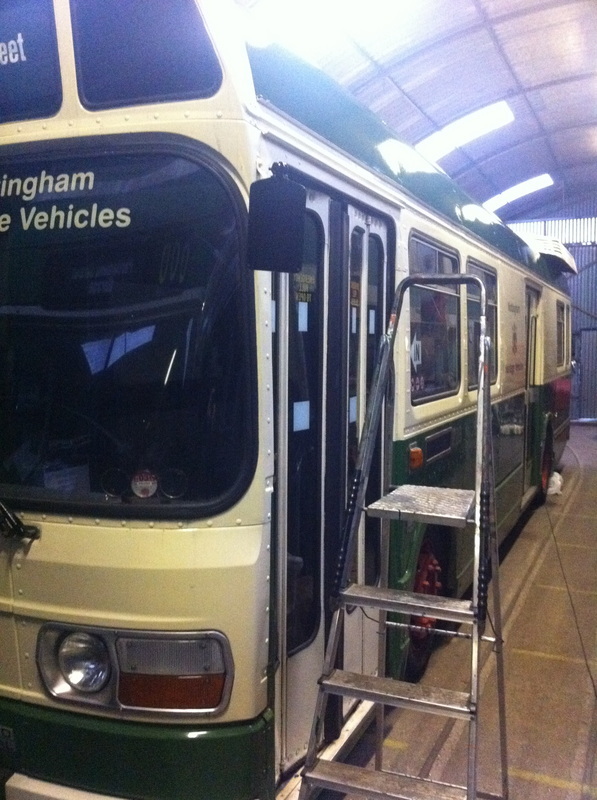 Over the winter of 2002/3, the interior was modified by ourselves to use as a photo sales and display vehicle, and externally the bus was repainted into its original livery, and the destination equipment reinstated. 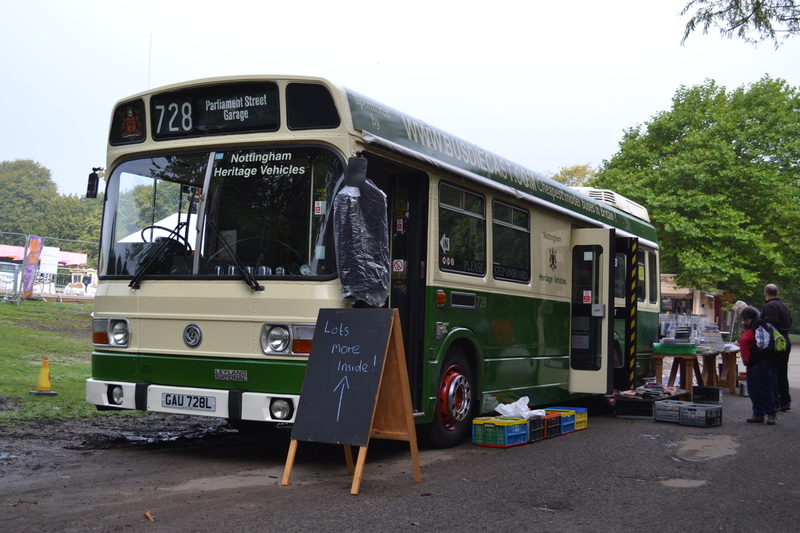 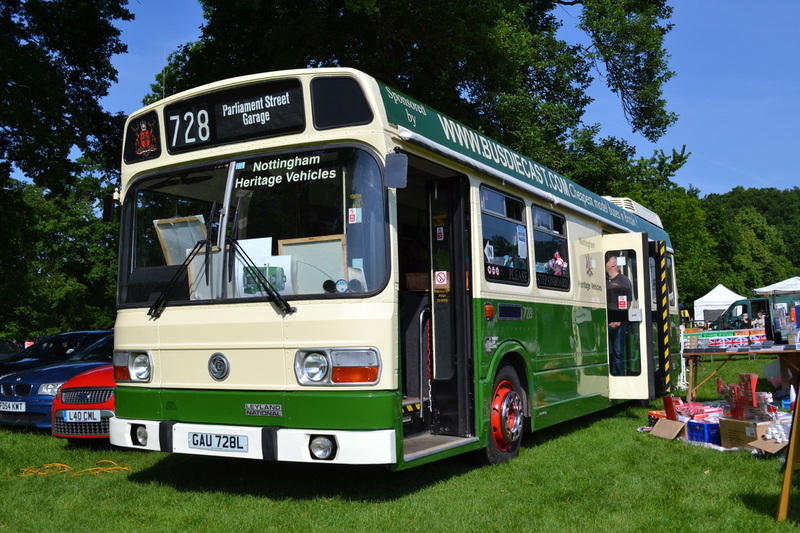 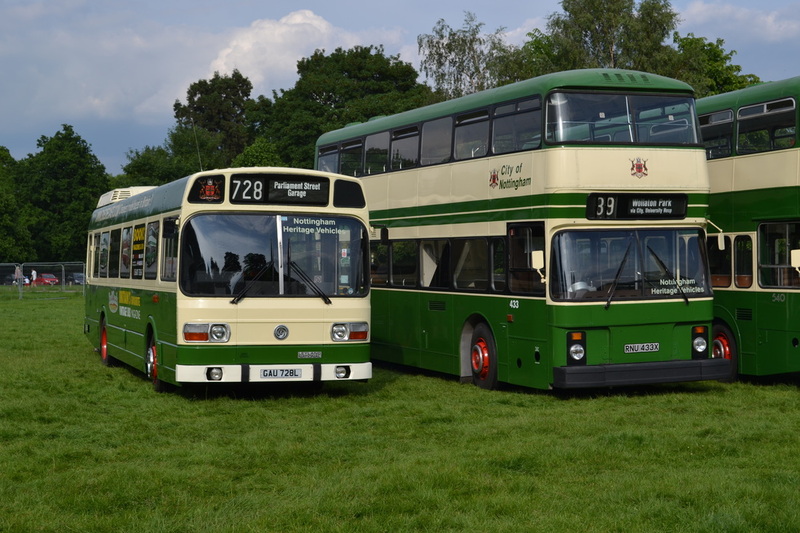 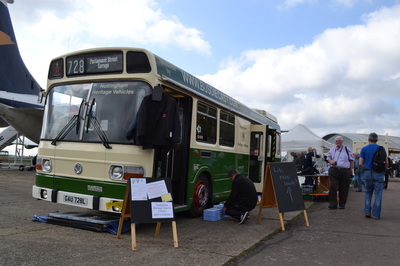 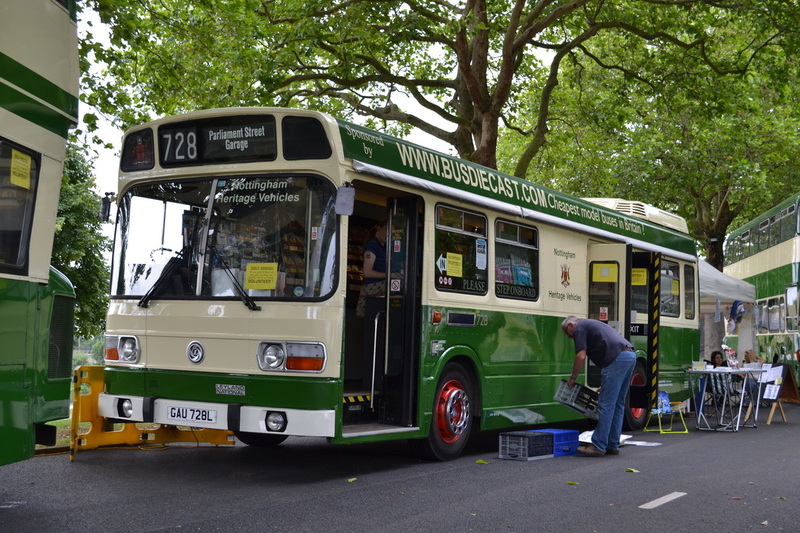 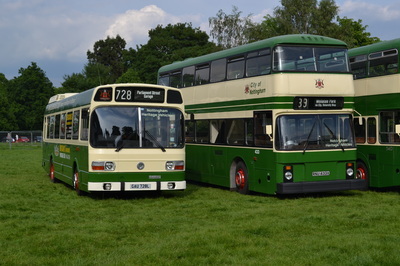 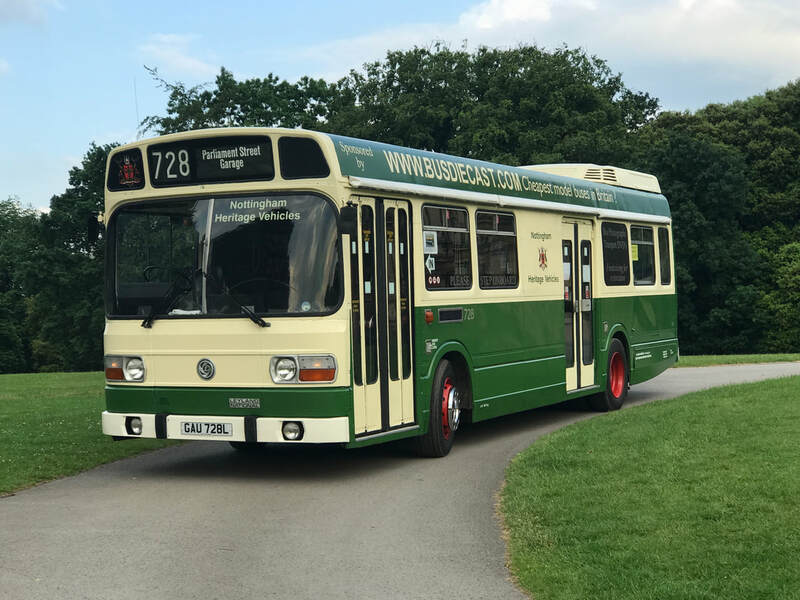 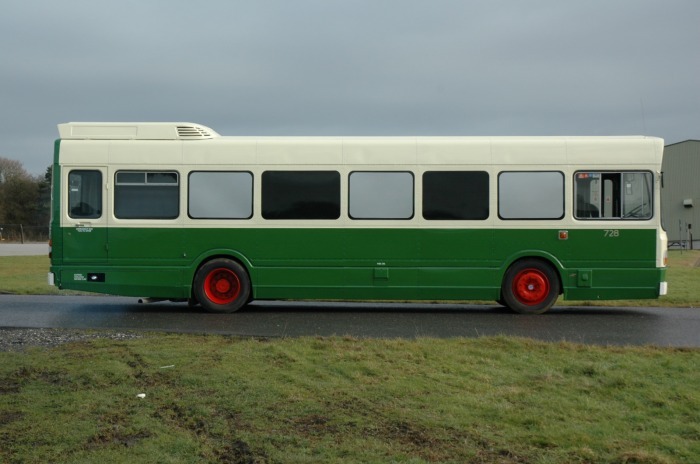 In 2007, 728 was repainted into a version of the NCT double deck livery, and continues to be used to attend rallies around the country, as well as a sales unit at our open days. 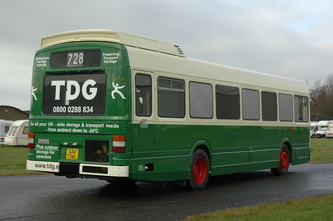 Most of the NCT fleet was double deck, so this bus is an example of the few single decks bought by the company up to that point. 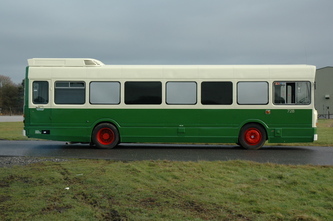 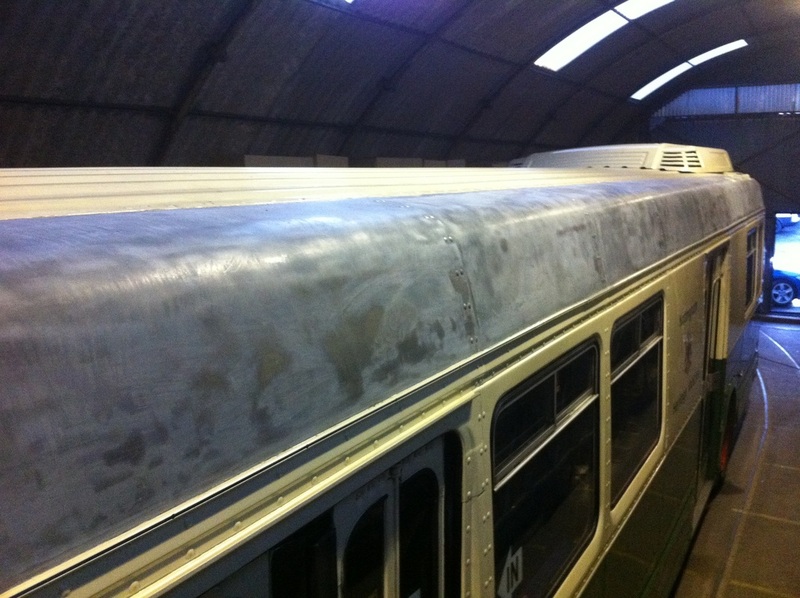 It is also the last remaining Mk1 National bought by NCT.